Avondale is a Town House with custom built Bed and Breakfast accommodation facilities, set in half an acre of landscaped gardens. Situated beside the Naas town centre with private car parking. Walking distance of many excellent restaurants, pubs and shops. On main bus route to Dublin City centre. 4 Star Fáilte Ireland Approved. Ground floor rooms available. Luxury Dormer bungalow on private grounds with spacious parking and elegant decor. All ground floor bedrooms. Short walk to Naas town centre. Owner Kay Judge has been providing her visitors with the best of Irish hospitality for over 25 years. 4 Star Fáilte Ireland Approved Accommodation. Non-smoking house. Self Catering Apartment also available. A: Caragh (near Mondello Park), Naas Co. Kildare, Ireland. Irish Tourist Board Approved. Centrally located between M4 & M7. Enjoy canal walks, golf, horse racing at Punchestown, motor bike/car events at Mondello Park and a visit to the National Stud & Japanese Gardens. Very competitive rates, room only or B&B. Self Catering kitchens available for guest use. Short term Self Catering Apartment available. 10% discount on all accommodation for 3 or more nights. Bungalow situated in tranquil rural location on own grounds. Ideally located for visits to Wicklow, Dublin and Kildare. Horse racing at Punchestown, Naas & Curragh. Motor racing at Mondello Park. Golf (20 courses within 15 miles). Dun Aonghus is in a rural setting and yet is only a short distance from all facillities and is approx 1 hour drive from Dublin. Fáilte Ireland Approved. Fáilte Ireland Approved self catering cottages nestled on the banks of the Grand Canal. Our 8 Self Catering cottages are Ideal for families, couples & individuals. Walking, Heritage & Culture, Golf & National Stud. All the cottages are on ground level and suitable for wheelchair users. Ashwell Cottage is approved to Failte Ireland standards with a four star rating. 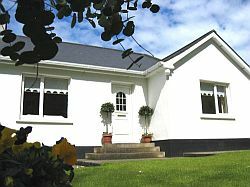 The cottage sleeps five to six people and is 5km from the bustling town of Naas, County Kildare. this self catering property is a perfect base for exploring Kildare, Wicklow and Dublin. The minute you enter the Harbour Hotel you feel at home. That's what a stay with us is all about. When you have been traveling, sightseeing, out and about, this is the best place to relax and let the activities of the day wash through your memory over a good meal and a drink later on. Come eat with us in the Winning Post Restaurant.